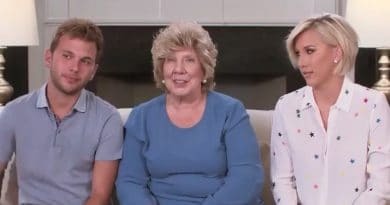 Chrisley Knows Best is renewed, plus Chase Chrisley and Savannah Chrisley have their own spinoff called Growing Up Chrisley on the USA Network. There has been a lot of talk about this spinoff, but the official news is finally out. All of this is going to be coming to USA in 2019. The show Chrisley Knows Best is a fan favorite featuring Todd Chrisley. Now it is coming back again. USA Network recently shared all of the details about the renewal and also the new spinoff. This is news that the fans have been waiting on awhile now. Chrisley Knows Best has been picked up for Season 7 and it a huge order. They are getting 26 episodes that will be airing in 2019. They haven’t shared yet, but they may end up showing them as a split season like they did this time around. That would mean that some air and then they take a break airing more later on in the year. Viewers will also get more of this show in 2018. The back half of Chrisley Knows Best Season 6 with Todd Chrisley will premiere November 28 at 9/8c, with two back-to-back episodes. Reruns of the show are airing throughout November so fans can catch up. Premiere dates, a new season, AND a spin-off?!?!? Check out all of the exciting #ChrisleyKnowsBest news NOW! The new show is called Growing Up Chrisley and it will follow Savannah and Chase Chrisley. They are both out of high school and on their own. Chase and Savannah are also both in relationships. It is possible that their significant others could end up being part of this show. Hopefully, some of Chase’s friends show up as well because they have been hilarious on Chrisley Knows Best. The focus of Growing Up Chrisley will be Savannah and Chase taking a road trip from Nashville to Los Angeles. They will attempt to get used to the big city. It sounds like they could be living in LA without their parents now. Savannah Chrisley was going to school in Nashville. This should all come out on the show. Savannah went to her Instagram and shared that they are done filming their spinoff already. They are now filming Season 7 of Chrisley Knows Best. This means that Chase and Savannah are probably back with the family or at least part of the time. They won’t be doing the show without them. Todd Chrisley temporarily had a talk show called According To Chrisley, but it didn’t last. There has even been some talk about other possible spinoffs that could be coming in the future. Come back to Soap Dirt for the latest Chrisley Knows Best spoilers, news, and other trending stories in reality TV and more.